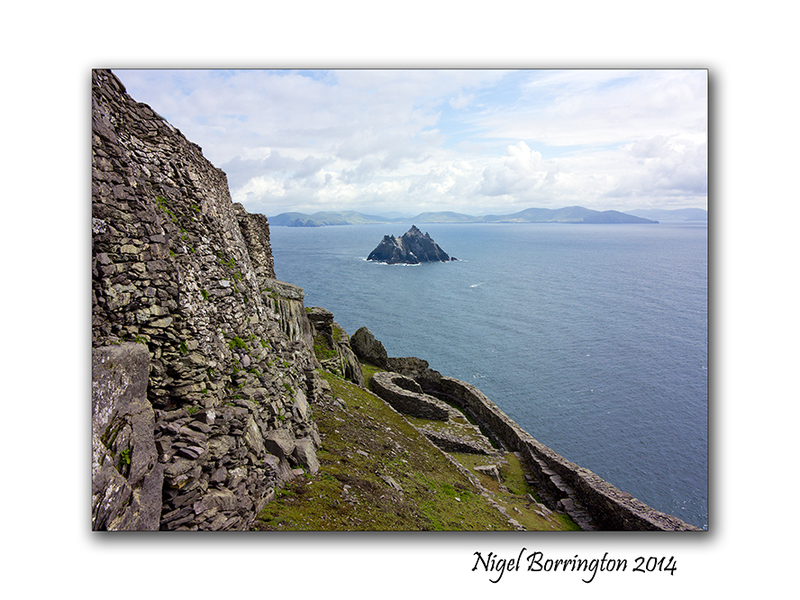 Skellig Michael is an Island some 12 to 16 kilometres by boat from the ring of kerry, county Kerry, Ireland. It is most famous for the fact that during the 6th to the 8th Century’s a religious settlement was established here. In my last two posts I shared the boat trip to the Island and then the long but wonderful walk up to the settlement at the very top of the Island some 218 meters from sea level. Today I just want to share images of the inside area , the location that the people who lived here spent their life’s and also the location in which they are buried and there final resting place. 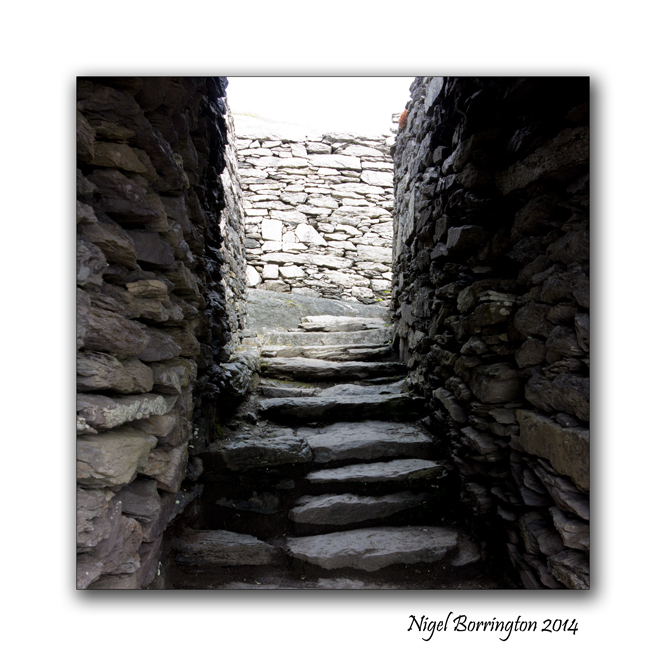 The images in the Gallery below are placed in the order that you view the buildings when you walk through the site, the only access is through a small passage in the outer walls. 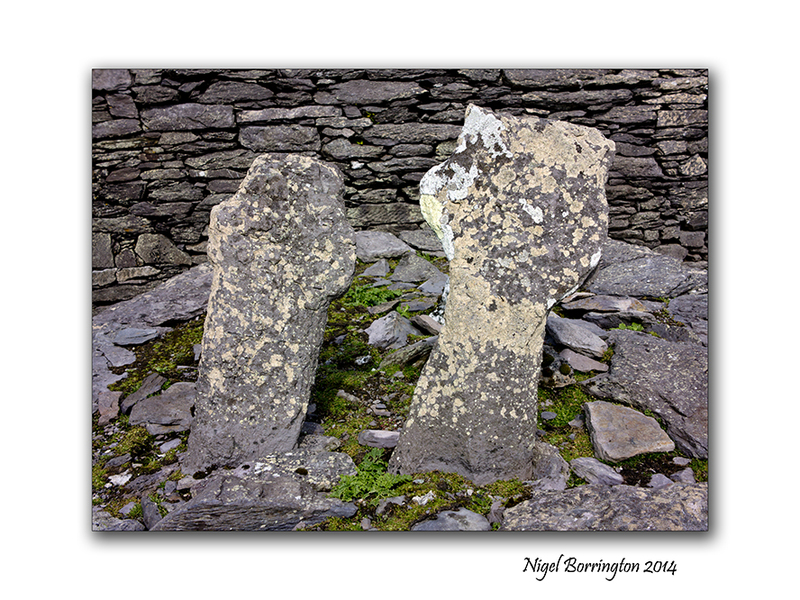 The very first thing that greets you are two small head stones, in a very small patch of grass. These are the graves of two young boys, it was a tradition that monks in this period would take very young boys as members to their orders. These boys where from families on the main land and once they moved here they would most likely never return to see there families. Our guide informed us that it is a possibility that both boys were killed by Viking invaders as when the remains where examined wounds were found that indicate that they were killed by the use of weapons, both boy did not pass the ages of ten or twelve. It is also thought that other graves in the pictures here, in the centre of the living area contain some adult victims of such attacks. A monastery may have been founded as early as the sixth century, reputedly by Saint Fionán but in 1044 rededicated to Saint Michael, the image here shows a large sculpture that is located towards the middle of the complex. 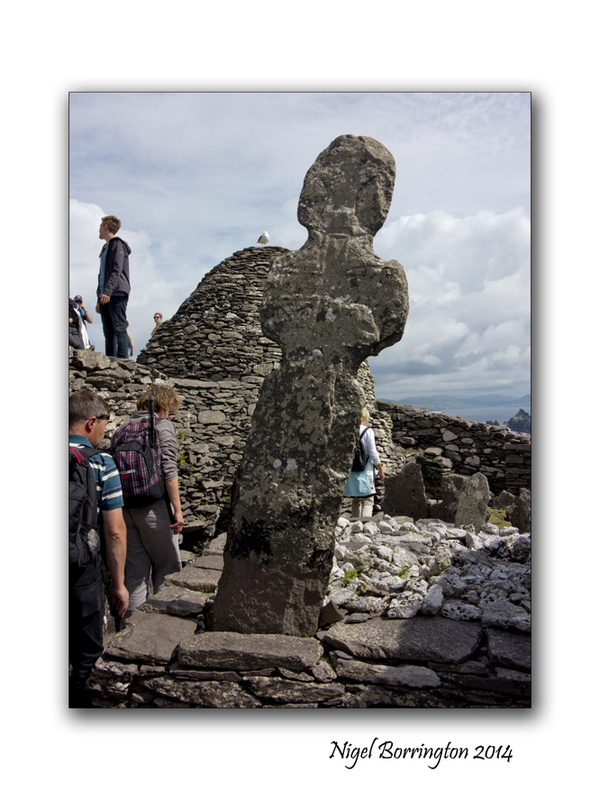 It was described by our guide as being a cross but it could also be very much in the form of a human figure, with the arms to the side and a head looking over the site. 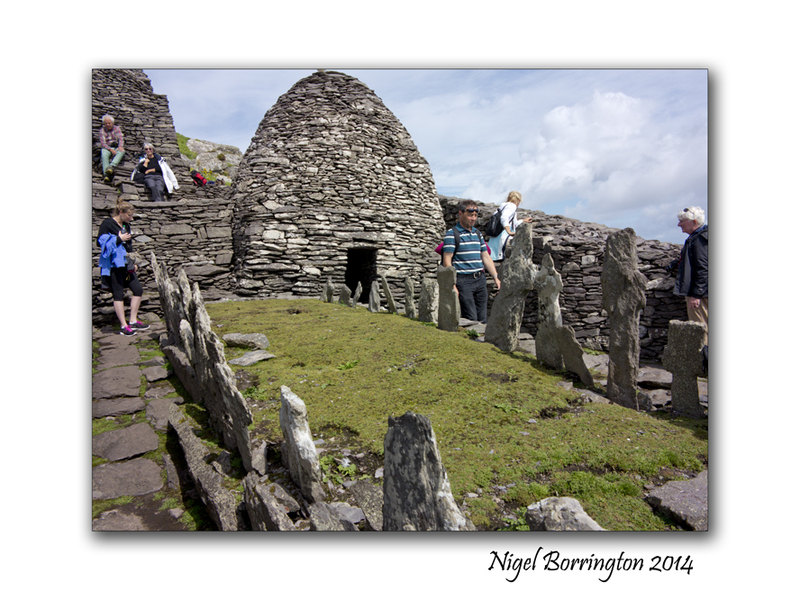 One of the most famous features of Skellig Michael are the so called Beehive structures, there were may be six or seven of these of which six are still standing, they were the living space for each of the monks, this fact would indicate that a maximum of seven people lived here in the beehives at any one time, there is a structure at the very end of the settlement that is constructed completely differently, It is thought that the head of the order would have lived in this building but few fact to prove this exist. 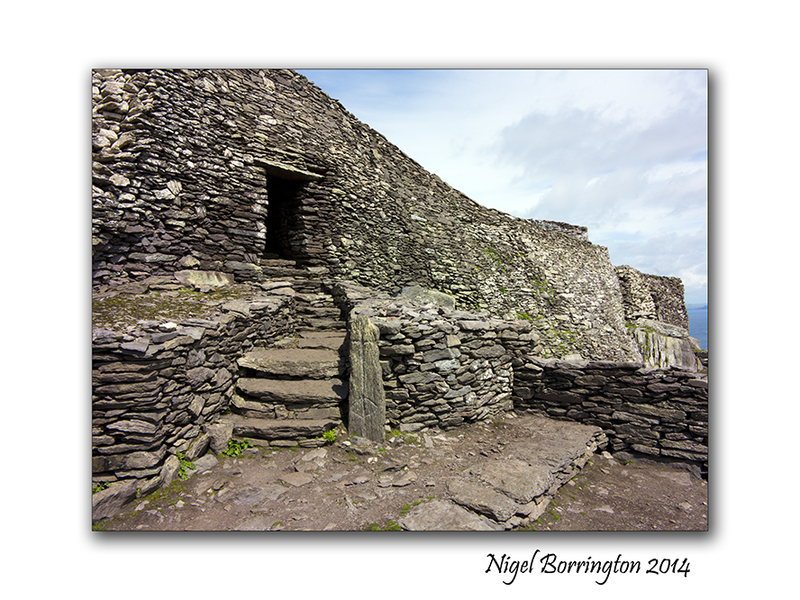 In any case the indications are that eight people lived on Skellig Michael at anyone time during its long history. Living with in these stone constructions looks very harsh , during the time they were occupied however they would have looked very different, in some of the pictures you can see supporting stones that stick out of the main buildings by some amount, it is thought that these stones supported a covering of thatch consisting of straw and clay, this would have been deep and was used to keep the inner stone structure warn and dry. Not all but some of the Beehives have a hole in the roof that was used to let out smoke from fires inside. At some point I want to post about the life’s of these people, who they were and why they chose to live here, I need to read a little more however , so for the moment that’s it. Three post over the last three day that I hope share a visit to this wonderful and mystical island. If you get a chance I would really in-courage you to visit. Its an experience of a lifetime and helps to open your mind to European history. 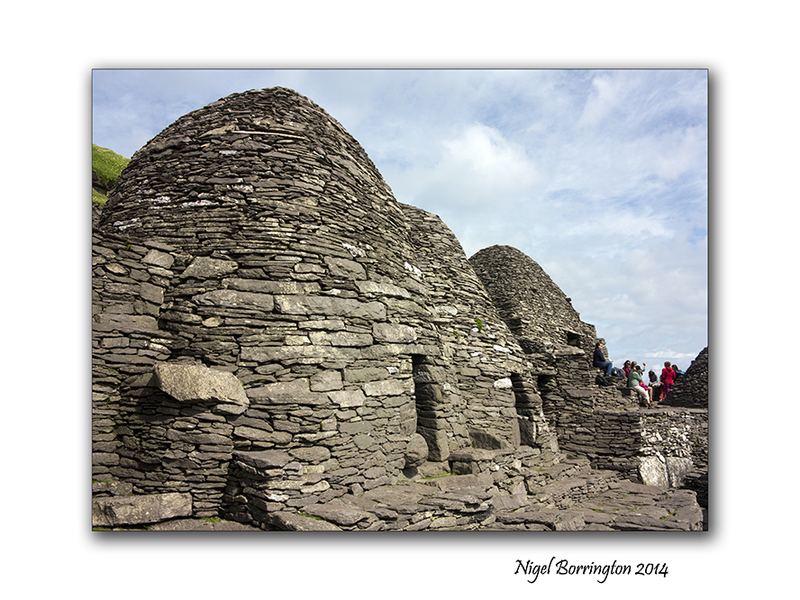 I cannot help however feeling that this place holds something else other than the official history, The question as to why these monks felt the need to occupy Skellig Michael, so far of the Irish coast line, is very big ! This place feels like an escape, a refuge but from what and why ? With such massive risk’s taken by a small group of people to construct three stone walk-ways to the top of the Island and then build the settlement, the question of why looms very large. These were times that the word of Christianity was first being spread across Ireland so why the need to hide away here ? 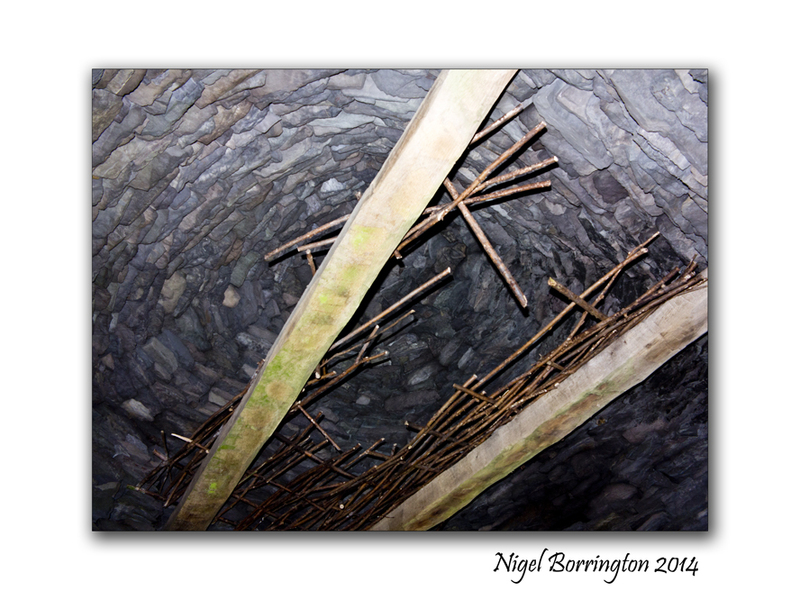 This entry was posted on April 4, 2014 by nigel borrington. 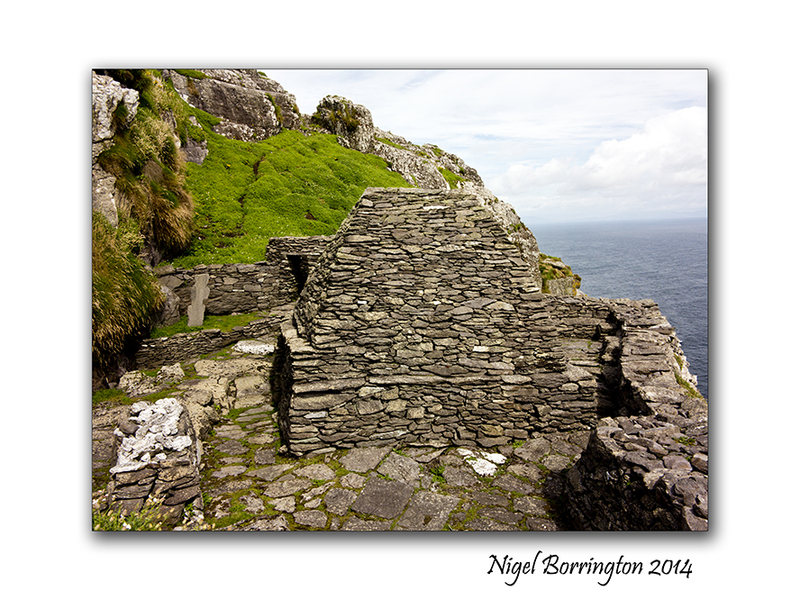 It was filed under Forgotten places, Landscape, Skellig Michael, Travel Locations and was tagged with county kerry, Ireland, irish history, irish photograhy, Irish photography, Landscape Photography, Saint Fionán, Saint Michael, skellig michael. Beautiful my Friend 🙂 Thank you for Sharing your visions once again. Wonderul views of a spectacular place. I wonder whether that cross was originally a pre-Christian idol and therefore that it was also a sacred place in earlier eras. Well, I think you have hit on a huge point here , I remember listening to everything the guide had to say about the cross, along with the location and then going having a look for myself , not thinking what she said was wrong !! However the more I looked closely the more I just had some reservations, just for starter you will notice that a later christian cross has been carved into the center of the sculpture , if it was already a cross why would you need to do this ? I then walked around the site looked back toward it, from every angle it look more human in its form and I may be wrong but I felt that I could see the features of a face and the and form of a head !!! It is not unusual for the early church to have put their stamp on to pre-christian artifacts. Just as a personal feeling , I have my concerns as to if the entire site is not original pre-christian, it does not originally fit other Christian constructions, there was no chapel here until one was constructed much later in its history, I did not include this in the post as it was being renovated. 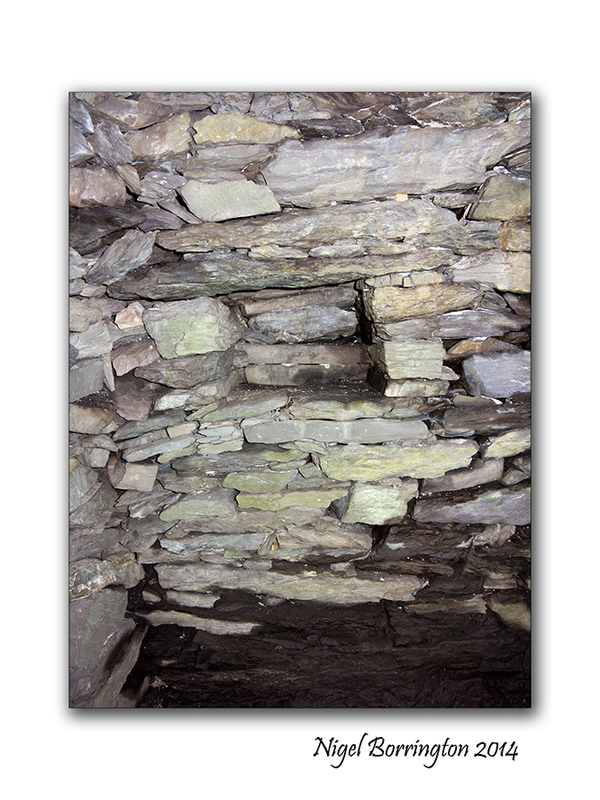 It is there but the type of construction is much more modern looking like it was constructed in the 10th to 11th century. Great point and comment !! PS , just as a last point , the current location of the cross feels misplaced, i.e. not in its original location, It’s not above or near the graves, is much larger than the grave crosses and is almost in your way as you have to walk around it. I wonder if it was not originally standing by its-self as a standing stone somewhere else on the Island ? St Kilda may have been settled as early as 3,000BC and the sea and the coast were the main highways in prehistoric times so some kind of prehistoric settlement is definitely possible, whether permanent or intermittent. It would be a wild place in bad weather and cut off for considerable periods. They would probably have survived mainly on puffins and gannets and other seabirds and to a much lesser extent fish. Hirta, the largest island on St Kilda, is thirty times the area of Skellig Michael and nowhere near as rugged so an independently sustainable population was probably not possible. My guess would be that there was intermittent prehistoric occupation for harvesting seabird food resources. Even then, the weather might have compelled them to remain for weeks at a time so they would have needed some form of temporary shelters at least. You are probably aware of it but I found an archaeological report downloadable from the page linked below. From a quick perusal it does not appear to consider pre-Christian activity. It may be that it is impossible to prove and if there is any evidence, it may be buried beneath the monastic structures. 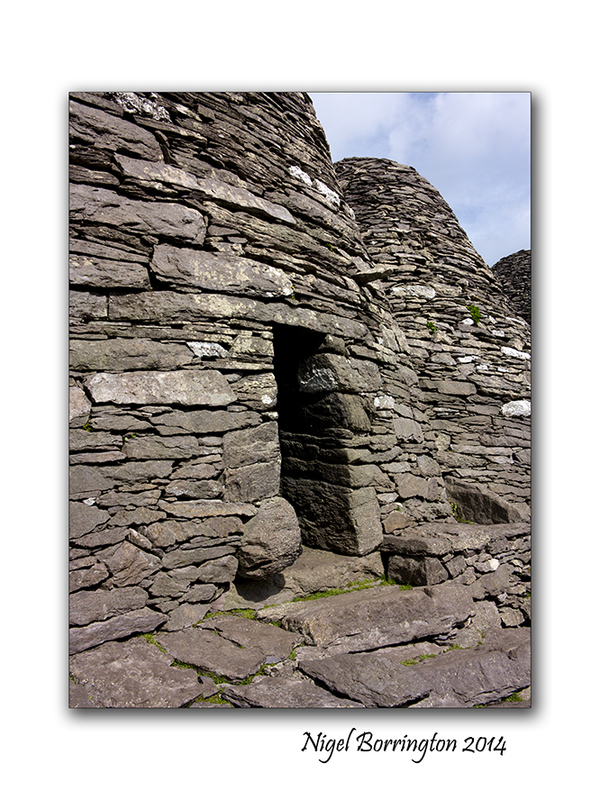 Of course, being stone, how old the earliest dome huts are is unknown. 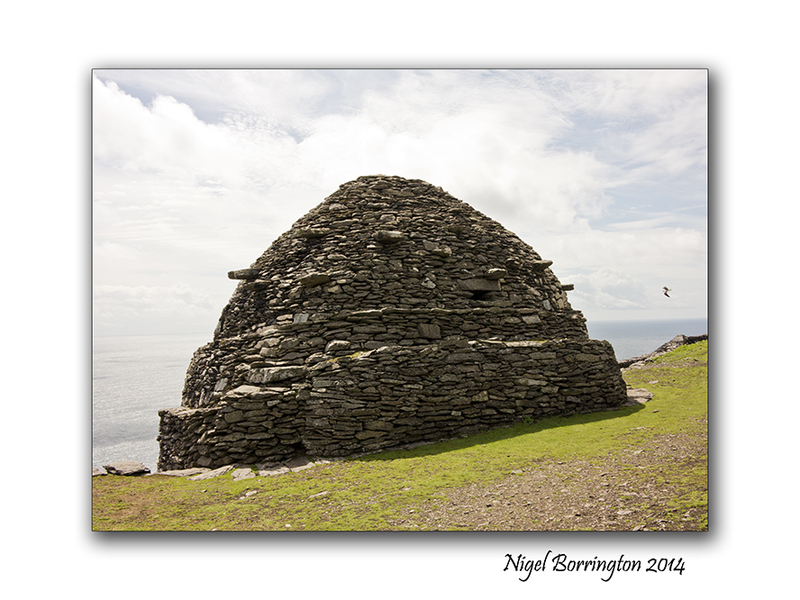 You’ll probably find it soon enough but I have started posting on St Kilda. Two so far and another seven or eight to go. Posting is slow at the moment though because I’m otherwise occupied temporarily. Great post! Very informative in both text and photos! Yes your right about the boys, its seems odd in our times and I am sure that they were more servants that training to be monks, the fact they a buried in a different location to the monks was a little odd, just one more question about this wonderful place !!! If you or your both are going !!! Interesting information and questions, and as always, fantastic photos. Thank you Nigel. Excellent end to the series Nigel, and a good discussion in the comments too! Very true that Christianity was often a gloss on earlier pagan traditions eg St Brigid. Absolutely and dare it be said ( ??? ) , that maybe it would not harm the church to finally re-write our history and let us know who was really who and what really happened in our distant past ? Thank you Nigel! I am so fascinated by the beehive ‘living’. 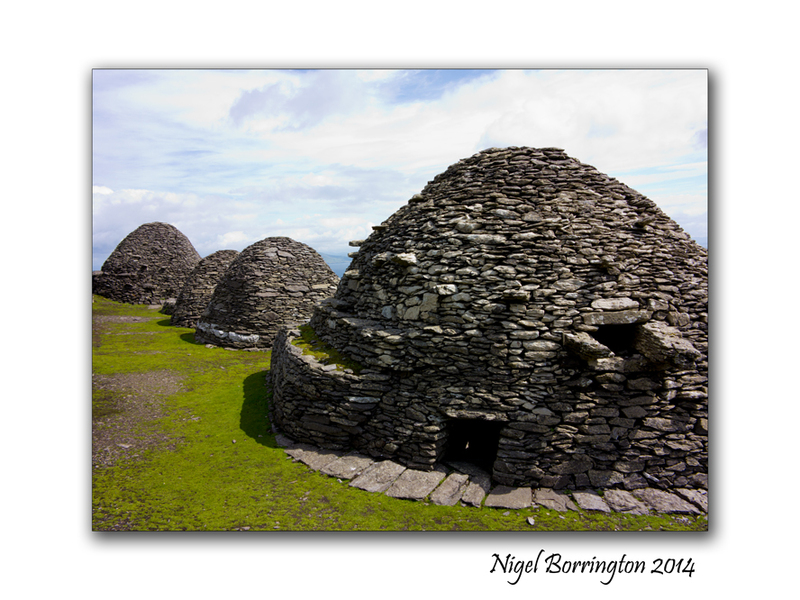 I have been to the ones by Dingle/on Dingle Peninsula. Mesmerized by them I am. Would love to know more about the life there. I think I could give that kind of living a go. (As long as I had the internet). 😉 Absolutely beautiful to me. The most beautiful of settings. Thank you so much ! 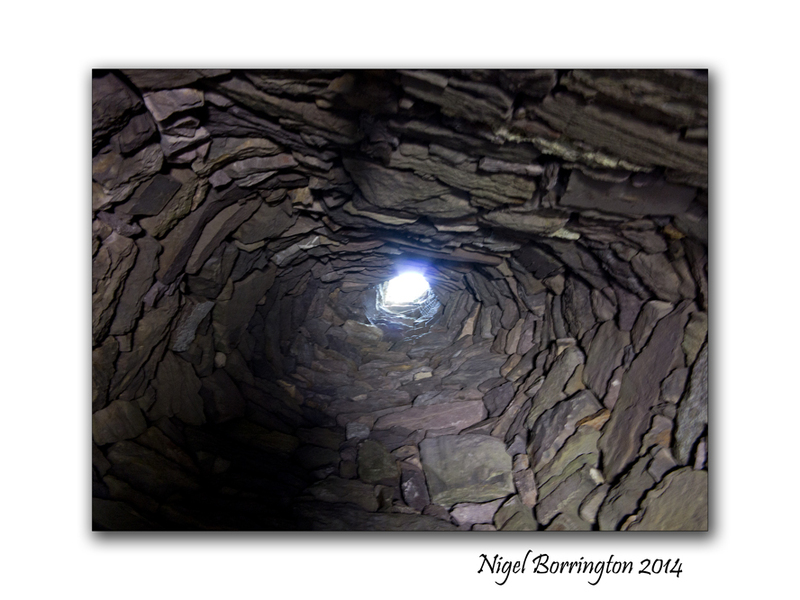 Just magical, this link with far history … The stonework is amazing ! 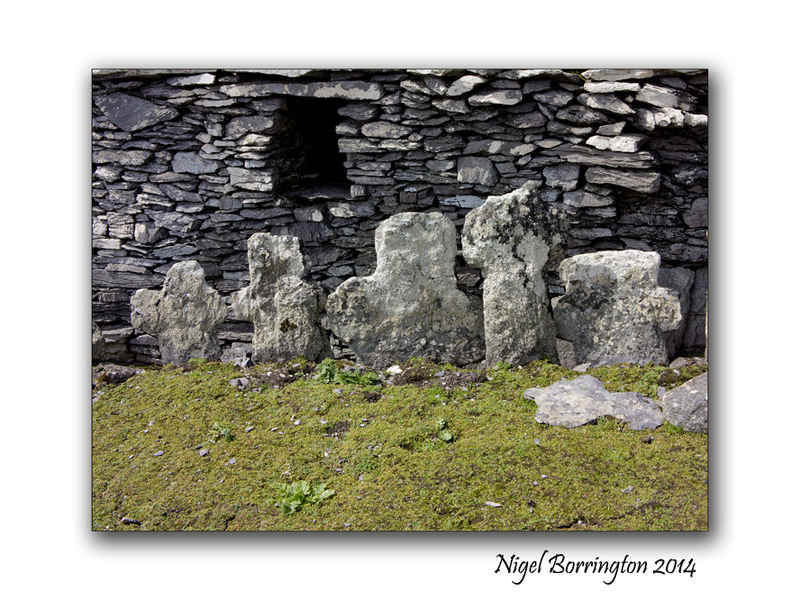 – all the people who like making dry stone walls would give their back teeth to be able to make the little huts.